An unusual way of using eggs. This recipe is from western India. Describes the preparation of the dish Parsi Devilled Eggs. A weightwatchers’ dream, the Patrani Machchi is a Parsi delicacy cooked without any fat. No Parsi banquet is complete without it. Describs the preparation of Prawn Vindaloo (Hot Prawns) Recipe. A dessert in the shape of a fish, from the western region of India. A Parsi recipe of Iranian origin. 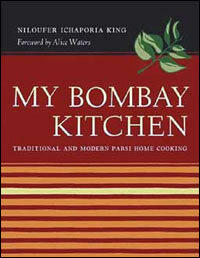 Describes a typical Parsi recipe. Describes how to prepare the dish Palak Alu. This is a typical Parsi Recipe which contains prawns. Executive Chef Cyrus Todiwala MBE has been awarded a Culinary Honour of Merit Award from the World Chef Society and Café Spice Namasté is one of few Indian restaurants to have received a coveted BIB Gourmand Award in the Michelin Guide and Cateys award.